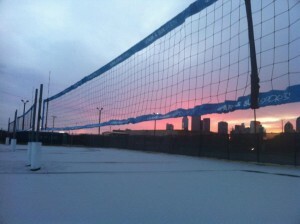 Volleyball in Deep Ellum?! Sandbar Cantina and Grill Opening in May! So I heard the rumors and had to check it out for myself. 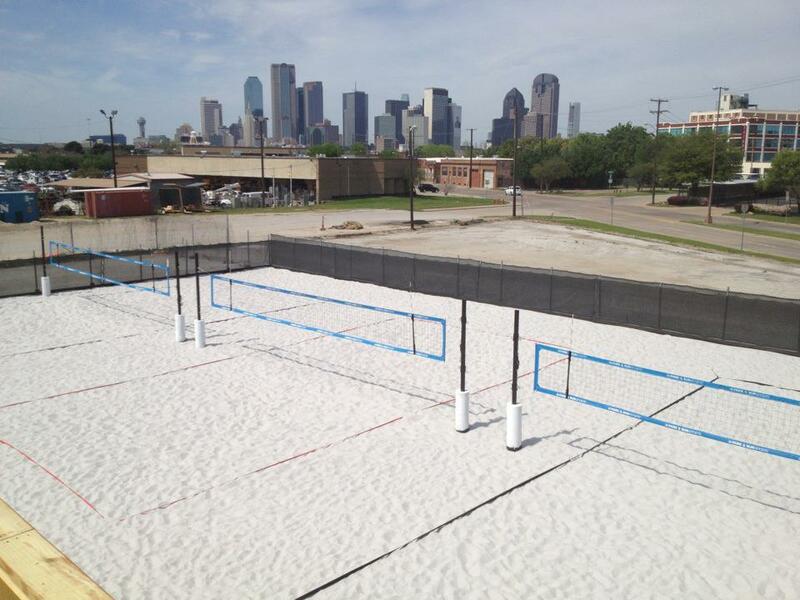 The hype has been confirmed – there is an outdoor sand volleyball complex/bar opening in Deep Ellum this May. 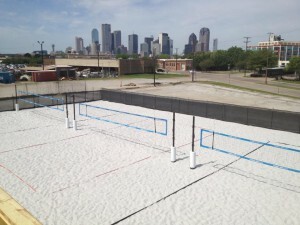 After the recent closing of Backyard Beach Bar in East Dallas, I found myself wondering where I would get my volleyball fix this summer. This news couldn’t have come at a better time. So where is it? 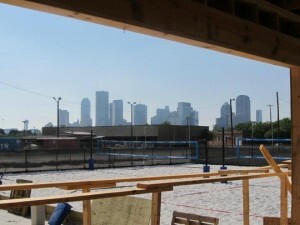 Smack dab in the middle of Deep Ellum at the intersection of 2nd and Canton – can’t miss it. According to their website, the 5 owners of soon-to-be Sandbar Cantina, came up with the idea at a local pub, asking themselves: “Why can’t everyday be a vacation?” The five friends pooled together their skills and beach bum mentality to come up with the best damn business plan I’ve heard in a while. 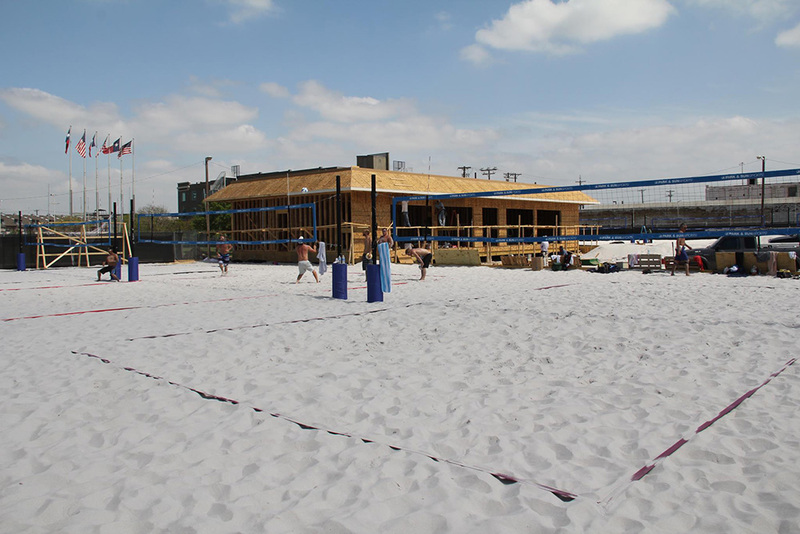 Sandbar Cantina will feature 8 white-sand volleyball courts with both adult and youth leagues as well as pickup games. For those of you who are less enthused about the volleyball scene, there will also be a full bar, food, swimming pool and even fitness training. What’s not to love? The menu is not yet listed on their website, but it does sound like they will have a full lunch/dinner menu, as well as brunch on the weekends. I’m sure these guys will be greeted with a warm welcome on opening day. May 1st is the projected opening, but I will keep you guys updated as I receive more details. Photos courtesy of Sandbar Cantina. If you want to stop by and take a look, the address is 317 S. Second Ave Dallas, Texas 75226.